Just one week after Hawaii made its longest trip in school history with a season-opening trip to Amherst, Mass., Western Carolina will make its longest trip in school history for Saturday's match-up with the Rainbow Warriors at Aloha Stadium. This will be the first-ever meeting between the Catamounts and Rainbow Warriors of the Mountain West Conference, one of two FBS games the Cats will play in 2017. TV / video: Spectrum Sports PPV - The game will also be distributed outside the state of Hawai‘i via the Mountain West Network and through the MW’s digital media partner Stadium on www.WatchStadium.com. The Series: The Cats and Rainbow Warriors meet for the first time on the football field. This will also be the first meeting between a SoCon team and the Rainbow Warriors. Strengths: Hawaii’s passing attack improved considerably in 2016, going from No. 98 in the nation with 192.4 yards per game to No. 68 with 227 yards per game. Dru Brown will lead a group of eight returning starters trying to build on their 2016 offensive success. Weaknesses: The Rainbow Warriors have to offset the loss of five defensive starters and improve a defensive unit that struggled last season. The defense ranked No. 113 nationally (FBS) in scoring defense, and surrendered 37 points per game, a figure that puts considerable pressure on the offense. Game(s) played before Western Carolina: The Rainbow Warriors (1-0) come into Saturday's game against the Catamounts riding a four-game win streak dating back to last season following a come-from-behind 38-35 victory over UMass last weekend in Amherst, MA. Hawaii scored the final 10 points of the game, including the game-winning touchdown pass with just 48 seconds remaining. Quarterback Dru Brown completed 25 passes for 391 yards and rushed 8 times for 48 yards. The leading rusher was senior running back Diocemy Saint Juste with 23 attempts, gaining 80 yards, averaging 3.4 yards per carry and a long of 11 yards. Hawaii's leading receiver was RS sophomore WR John Ursua, with 12 receptions for 272 yards, averaging 22.7 yards and a long of 85 yards. RS junior linebacker Jahlani Tavai led all tacklers with a total of 13, 6 solo. It's now 2 days until the kickoff of Catamount football on September 2, 2017, in Aloha Stadium, Honolulu, Hawaii - home of the University of Hawaii Rainbow Warriors. Prior to Western Carolina: Rushed for 2,431 yards as a senior on just 237 carries, averaging an astounding 10.3 yards per carry in helping lead Dudley HS to a 13-2 record and berth in the 4-A west regional final ... Scored 27 rushing touchdowns ... Made 40 receptions for 771 yards and seven TDs, averaging 19.3 yards per reception ... As a junior, rushed for 1,051 yards and 11 touchdowns ... Listed as a three-star athlete by 247sports.com ... High school coach was Steve Davis. It's week #1 in the SoCon, and time to start making this week's football picks. Usually, our picks are posted on Friday for Saturday's games, however, this week we have two Thursday night games, thus the early picks. Check back on Friday, for our regular football picks. The Jacksonville Dolphins from the Pioneer Football League will travel to Macon to meet the Bears for the second time. The Dolphins were selected to finish 5th in the Pioneer in preseason, and makes for a good FCS win for the Bears. The Owls of Kennesaw State from the Big South will travel to Birmingham for the first meeting between the Bulldogs of Samford and KSU. The Owls were picked to share the Big South Conference Championship this season, but it's not quite enough to handle the offensive weapons of the Bulldogs. This is the first of five Big South, SoCon meetings this season. Check back with us on Friday for the final 5 game picks of the weekend. It's now 3 days until the kickoff of Catamount football on September 2, 2017, in Aloha Stadium, Honolulu, Hawaii - home of the University of Hawaii Rainbow Warriors. Prior to Western Carolina: In two seasons as the starting quarterback, threw for 4,980 yards and 47 touchdowns in leading Cane Ridge High to a 20-4 record ... As a senior, completed 185-of-297 passes for a school single-season record 2,907 yards, setting a school benchmark with 28 touchdowns against seven interceptions, leading CRHS to an undefeated regular season, a Region 6-5A title and the program's first two playoff victories ... Collected Region 6-5A Offensive MVP plaudits, as well as all-region offensive player of the year honors ... Became the first player in CRHS history to receive the 2016 William E. Hume Award which is given annually to the top football player among Metro Nashville schools ... Also received the Hancock/Nipper football sportsmanship award from the Nashville City Civitan Club ... Was listed as a two-star athlete by 247Sports.com ... High school head coach was Eddie Woods. Personal: Full name is Dakarai Jashaun Thorpe, but goes by "DJ" ... Is the son of Kalvanetta and William Thorpe ... Has a younger sister, Laiya. Welcome to Purple & Gold's 2017 SoCon Football Power Rankings. Each Tuesday throughout the season, we'll release that week's Power Rankings. Here's this week's P&G preseason rankings. It's now 4 days until the kickoff of Catamount football on September 2, 2017, in Aloha Stadium, Honolulu, Hawaii - home of the University of Hawaii Rainbow Warriors. 2016 (Junior): Saw action in all 11 of the team's games making nine starts at linebacker ... Ranked fifth on the team with 66 total tackles including 30 solo stops with 1.5 tackles for loss ... Ranked tied for 26th in the SoCon with a 6.0 tackle per game average ... Had four-or-more tackles in nine of the 11 games ... Twice posted a season-high nine tackles in both the home wins over Gardner-Webb (Sept. 10) and VMI (Nov. 5) ... Recorded a quarterback sack at ETSU (Sept. 17) ... 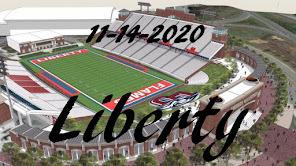 Forced a pair of fumbles against both Gardner-Webb and at ETSU (Sept. 17) at the Bristol Motor Speedway ... Tallied three quarterback hurries ... Received the 2017 Wilma Rudolph Student-Athlete Achievement Recognition from the National Association of Academic Advisors for Athletics (N4A) ... Named CoSIDA Academic All-District 3 ... Selected to the 2016 Fall Academic All-Southern Conference team and Named to the 2016-17 Southern Conference Academic Honor Roll. ... Credited with three tackles including a sack in WCU's annual Spring Game. 2015 (Sophmore): Started all 11 games in which he saw action in the defensive secondary ... Finished tied for fourth on the team with 68 tackles including 32 solo stops ... Ranked tied for 22nd in the SoCon with a 6.2 tackle per game average ... Charted four-or-more tackles in every outing with six-or-more in six of the 11 games ... Recorded nine stops at home against Mercer (Oct. 10) and tallied a career-high with 11 tackles in the road win at VMI (Nov. 21) ... Named 2015 Fall Academic All-Southern Conference. Throughout this preseason, Purple & Gold has previewed all of Western's 2017 football opponents., here's the final preview. In the Cat's twelfth and final regular season game of the season, Western Carolina travels to Chapel Hill for the first ever meeting with the Tar Heels. The Cats will also play the Tar Heels in the 2018 season in Chapel Hill. The Series: First meeting on the football field between these two UNC sister schools. Last season's Record (Tar Heels): 8-5 overall, 4-2 home, 4-1 away, 5-3 ACC - The Tar Heels ended the season losing 3 of their last 4 games. 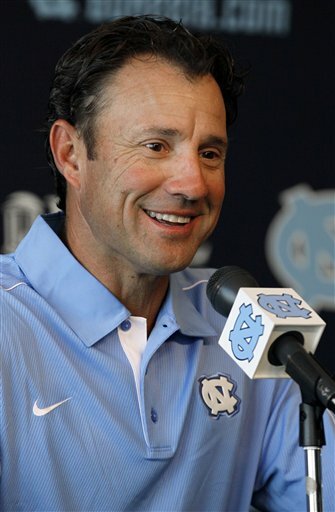 Head Coach: Larry Fedora - North Carolina head coach Larry Fedora, who is entering his sixth season at UNC, has built a program in Chapel Hill that provides his student-athletes the chance to excel on the gridiron, in the classroom and in the community. Over the last five seasons, the Tar Heels have set records in bunches, electrified fans with their special teams play, produced numerous professional prospects and finished first in the Coastal Division on two occasions. Fedora, who already ranks fifth all-time at UNC with 40 victories, signed a new contract extension in May to keep him in Chapel Hill through the 2022 season. The Tar Heels return just 13 percent yards of their total offense (passing, rushing, receiving) from last year's team. They must replace their top passer, two leading rushers and three standout wide receivers from last season. One of the biggest names to transfer in is ex-LSU signal caller Brandon Harris. After a turbulent career with the Tigers, Harris hops to run Fedora's offense for his final collegiate season. The Heels began camp in 2017 with two grad transfers, Florida's center Cameron Dillard and USC's Khaliel Rodgers. Dilliard started 19 games for Florida before having a season-ending knee surgery in 2016 and maybe the front runner for the starting center spot. Rodgers however recently departed from the team. It's now 5 days until the kickoff of Catamount football on September 2, 2017, in Aloha Stadium, Honolulu, Hawaii - home of the University of Hawaii Rainbow Warriors. 2016 (Redshirt Junior): Started all 11 games at wide receiver ... Led WCU with 71 catches -- the third-most in the Southern Conference -- for 738 receiving yards ... His 71 catches ranked fourth in WCU's single-season record books ... Tallied five-or-more receptions seven times ... Ranked sixth in the SoCon with an average of 67.1 receiving yards per game ... Recorded a team-best six receiving touchdowns, scoring 36 points on the year ... Eclipsed the 100-yard receiving mark once with a season-high 106 yards on eight catches at Mercer (Oct. 15) ... Matched a school-record with 15 receptions for 99 yards and two TDs against Wofford (Oct. 8) ... Credited with one tackle against Wofford ... Selected first team All-Southern Conference by the league's voting media ... Caught one pass for four years in WCU's annual Spring Game. 2015 (Junior): After suffering a wrist injury, sat out the season and took a medical redshirt ... Returned to the practice field in a limited role during the 2015 spring drills. 2014 (Sophomore): Played in 11 of the team's 12 games with nine starts at wide receiver … Paced the team with 56 receptions for a team-high 643 receiving yards … Led the Southern Conference with a 5.1 reception per game average and was fourth in the SoCon in receiving yards per game (58.5 yds/gm) … Recorded double-digit receptions three times including a career-high 15 in the season-opener at USF (Aug. 30), matching a school-record for receptions in a single-game (Eric Rasheed, 15 vs. UTC in 1984) … Threw a touchdown pass on a trick play at Mercer (Oct. 18), connecting with Karnorris Benson on a 39-yard strike … Finished with three, 100-plus yard receiving games … Caught 10 passes for a career-high 183 receiving yards against The Citadel (Oct. 25) … Returned one punt and had one kick return … Recorded a pair of tackles at Samford (Nov. 8) … Named second team All-Southern Conference by the voting media … Playing for the Gold squad, caught eight passes for 40 yards while rushing twice for 30 yards in WCU’s annual Spring Game. 2013 (Freshman): Saw action in all 12 games on the season making 11 starts at wide receiver ... Made his collegiate debut by starting the season-opener at Middle Tennessee State ... Finished second on the team with 41 catches for 562 yards and two touchdowns ... Tallied catches in 11 of his 12 games on the season, shutout at ACC-foe, Virginia Tech ... Added five punt returns for 17 yards for a combined 579 yards of total offense ... Recorded his first career reception and first collegiate touchdown on the same play - a 35-yard second quarter scoring strike from Troy Mitchell at MTSU ... Ranked ninth in the Southern Conference in receiving yards per game (46.8 yds/gm) - a mark that was third among all league freshmen ... Finished 10th in the SoCon in receptions per game (3.4) ... Led the team in receiving five times including the final three games of the year ... Tallied a career-best 91 receiving yards and a second touchdown at Chattanooga ... Posted his career-high for catches with six against Furman ... Credited with two solo tackles. Prior to Western Carolina: Three-year varsity team member at Decatur High ... Finished with 94 catches for 1,660 yards and 22 receiving touchdowns ... Averaged 17.7 yards per reception during his career ... 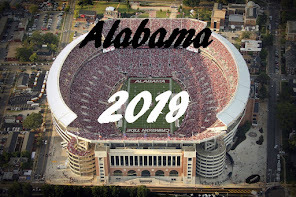 Despite nursing a sprained ankle most of his senior season, finished with 44 receptions for 480 yards and five touchdowns ... Also had two TDs on punt returns and seven interceptions as a cornerback ... Named to the Atlanta Journal-Constitution's All-Region 6-AAA squad ... Played in the DeKalb County Coaches Association Senior All-Star Game ... Also played basketball as a prep. Personal: Is the son of Lionel & Anita Robinson ... Has two brothers, Dominicus and Michael, and a sister, Andrea. It's now 6 days until the kickoff of Catamount football on September 2, 2017, in Aloha Stadium, Honolulu, Hawaii - home of the University of Hawaii Rainbow Warriors. 2016 (Freshman): Did not see game action ... Redshirted ... Caught three passes for 17 yards in WCU's annual Spring Game ... Named to the 2016-17 Southern Conference Academic Honor Roll. Prior to Western Carolina: Was a three-year varsity letter winner at Blythewood HS, playing wide receiver on the football team. Personal: Is the son of former Catamount wide receiver - and former NFL standout - David Patten. It's now 7 days until the kickoff of Catamount football on September 2, 2017, in Aloha Stadium, Honolulu, Hawaii - home of the University of Hawaii Rainbow Warriors. 2016 (Redshirt Sophomore): Played in nine games with one start in the backfield, making his first collegiate start at Mercer (Oct. 15) ... Missed the final two games of the season due to injury ... Rushed 38 times for 119 yards and a touchdown scored in the home win over VMI (Nov. 5) ... Returned a pair of kickoffs for 24 yards, both going for 12 yards ... Finished the season with 143 all-purpose yards ... Tallied two tackle assists against VMI ... Selected to the 2016 Fall Academic All-Southern Conference team ... Rushed eight times for 34 yards in WCU's annual Spring Game ... Named to the 2016-17 Southern Conference Academic Honor Roll. 2015 (Redshirt Freshman): Played in seven games as a back-up running back ... Rushed for 239 yards on 53 carries with four touchdowns on the ground ... Added nine catches for 220 yards ... Made his collegiate debut with a five-carry, 58-yard outing, scoring his first career touchdown in the opener against Mars Hill (Sept. 5) on a six-yard run in the fourth quarter ... Tallied his second career rushing score on five carries at Wofford (Oct. 17) ... Posted a two-rushing TD game against Samford (Oct. 24) ... Caught a career-high three passes at Chattanooga (Oct. 31) ... Rushed five times for 50 yards in WCU's annual Spring Game ... Named to the 2015-16 Southern Conference Academic Honor Roll. 2014 (Freshman): Redshirted ... Named to the 2014-15 Southern Conference Honor Roll ... For the Gold squad in WCU's annual Spring Game, rushed nine times for 26 yards including a seven-yard touchdown rush. Prior to Western Carolina: Was a four-year varsity letter winner in football ... Is a physical runner with good vision that amassed over 1,300 all-purpose yards including 1,093 on the ground en route to earning his team's MVP award as a senior, helping Eagle's Landing High record a school-record for wins ... Led the team with 10 rushing touchdowns as a part of first team All-Region honors at running back ... Recorded 200 receiving yards as a senior ... Also saw time on defense at linebacker over his final two seasons, tallying 44 tackles including 34 solo stops ... Earned the Good Citizenship Award from the National Society of the Daughters of the American Revolution ... As a junior, rushed for 1,449 yards and nine touchdowns ... High school coach was Joe Teknipp. Personal: Full name is Corey Justin Holloway ... Is the son of G. Reginald and Donna J.L. Holloway ... Is one of four children in the Holloway family. 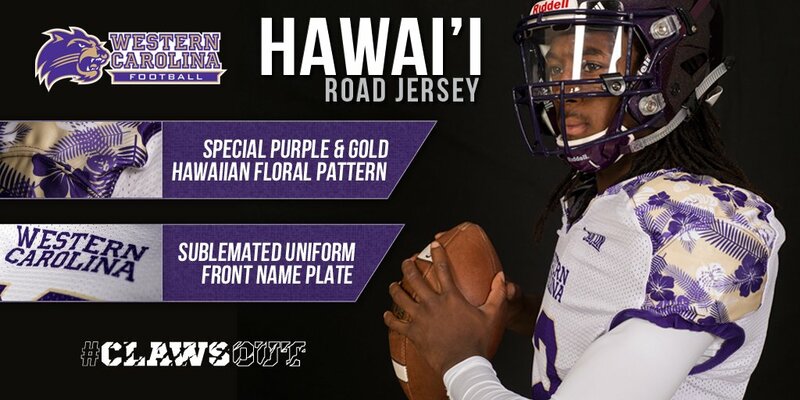 It's now 8 days until the kickoff of Catamount football on September 2, 2017, in Aloha Stadium, Honolulu, Hawaii - home of the University of Hawaii Rainbow Warriors. 2016 (Junior): Played in eight of the team's 11 games with one start ... Recorded 14 tackles on the year with nine solo stops and two tackles for loss ... Posted a season-high three tackles twice, against ECU and VMI (Nov. 5) ... Returned a pair of kickoffs against East Carolina (Sept. 3) for 52 yards including a long of 28 yards ... Had one pass break-up coming against ETSU (Sept. 17) at the Bristol Motor Speedway ... Made his first collegiate start against Wofford (Oct. 8)... Credited with a pair of tackles in WCU's annual Spring Game. 2015 (Sophomore): Saw action in seven games on the year, each as a defensive substitute and on special teams ... Finished the year with nine tackles including eight solo stops ... Racked up 305 all-purpose yards on 14 kickoff returns, averaging 43.6 all-purpose yards per game ... Posted a career-best 102 return yards on four kickoff returns at VMI (Nov. 21) including a career-long of 37 yards. 2014 (Freshman): Saw action in six games on special teams and as a defensive reserve ... Finished with two tackles, both solo stops ... Made his collegiate debut in the home-opener against Brevard (Sept. 6), recording his first career tackle in the win ... Matched his career-best tackle with one against The Citadel (Oct. 25) ... Playing for the Purple squad, credited with three tackles including a sack while also recording an interception and a pass break-up in WCU's annual Spring Game. In the Cat's eleventh game of the season, the Mercer Bears travel to Cullowhee for the Cats fifth & final home game of the regular season. Western faces the Bears for just the fourth time since Mercer joined the Southern Conference. The Series: In only the 4th meeting between the two teams, the Cats own a 2-1 record over the visiting Bears, having lost last season in Macon, GA.
Last Season's Game vs. Mercer (Oct. 15, 2016) Camount Football Falls to Mercer, 38-24 Macon, GA - Alex Lakes rushed for 112 yards with two touchdowns and Mercer pulled away in the fourth quarter to beat Western Carolina 38-24 on Saturday in Southern Conference action at Five Star Stadium. Western Carolina made it a seven-point game with 5:48 to go on Logan Howard's 30-yard field goal. The ensuing kickoff was returned 31 yards by Chandler Curtis and a 15-yard unsportsmanlike penalty set up Mercer on the WCU 40. Seven plays later, Lakes' 2-yard plunge sealed it with 1:53 left. Head Coach: Bobby Lamb enters his fifth season as head coach of Mercer football. In his first season, the Bears set a NCAA Division I record for wins by a first-year program with a 10-2 campaign. The 2013 win total also set a school record for victories, surpassing the previous mark of seven wins by Lake Russell’s 1931 and 1932 squads. Lamb led the Bears into their first season of Southern Conference play in 2014. The Bears were picked fifth in the SoCon preseason polls and returns 14 starters from last season's 6-5 team. The fifth-place vote is Mercer's second highest in four years as a SoCon football member. Offensive lineman Thomas Marchman, tight end Sam Walker and place kicker Cole Fisher were named to the Preseason All-SoCon First Team. Wide receiver Marquise Irvin, offensive lineman Caleb Yates, defensive lineman Isaiah Buehler and return specialist Chandler Curtis earned Preseason All-SoCon Second Team honors. It's now 9 days until the kickoff of Catamount football on September 2, 2017, in Aloha Stadium, Honolulu, Hawaii - home of the University of Hawaii Rainbow Warriors. Prior to Western Carolina: Was listed as a three-star athlete by Scout.com ... High school head coach was Mike Palmieri ... Also ran track as a prep where he was a part of the MCHS 4x100-meter relay team that ran the state's second best time (1:27.22) to win MECKA 4A title; finished ninth at states ... Also ran on the 4x400-meter relay team. Personal: Full name is Keshaun Demonte' Abel ... Is the son of Krystal Abel and Larry Wilson. It's now 10 days until the kickoff of Catamount football on September 2, 2017, in Aloha Stadium, Honolulu, Hawaii - home of the University of Hawaii Rainbow Warriors. 2016 (Freshman): Did not see game action ... Made the 2016 Chancellor's List ... Named to the 2016-17 Southern Conference Academic Honor Roll. 2015-16: Joined the Catamount football team during spring drills ... Saw snaps during WCU's annual Spring Game, completing two passes for eight yards. Prior to Western Carolina: Three-year starter at QB for head coach Brad Baker ... Threw for over 2,890 yards as a varsity quarterback, tossing 32 touchdown passes in 17 games ... Recorded 1,255 career all-purpose yards ... Was a three-time offensive Player of the Game and once collected overall game honors vs. Lake Norman (Aug. 22, 2014) as selected by MaxPreps.com during his senior season ... Also played small forward on the basketball court as a prep, helping his team compile a 46-9 record as a two-year starter. Personal: Is the son of Kenneth and Cindy Beasley ... Has an older sister, Kelly. It's now 11 days until the kickoff of Catamount football on September 2, 2017, in Aloha Stadium, Honolulu, Hawaii - home of the University of Hawaii Rainbow Warriors. Prior to Western Carolina: Three-year varsity letter winner who earned honorable mention all-conference accolades twice before garnering second team honors as a senior... Recorded 42 receptions for 662 yards and eight touchdowns for the Blue Devils, who finished 8-3 and earned a state playoff trip ... Added 74 rushing yards and a TD on the ground ... a two-sport standout including football and baseball ... As a senior, broke the school record for most career touchdowns with 23 ... Is expected to walk-on the Catamount baseball team as a sophomore ... Earned the Jackie Smallwood Award for baseball ... High school coach was Scott Burton.